Now featuring real-time registration online! Walk through our swim lesson questionnaire to determine your perfect class level, then view pricing options & hand-pick current openings in real-time! Click to register! Choose “Monthly” before checking out! If you're interested in our Swim Baby or Swimtastic Swim Baby parent-child swim classes, this is the perfect way to experience our warm 90° water and kid friendly facility. Join the Swimtastic Team. Check out our employment page for current opportunities. Join a class at any time! Fall 2: October 17th - December 21st. and operated by 2DSS Inc.
Family swim passes are offered if you are unable to attend a lesson during a session. We do not offer makeups or refunds for missed lessons, so using passes to come to these family swims is key to achieving consistency. We encourage you to come during these times to practice skills!!! We do not offer makeup classes; if you miss a class due to illness, family emergency or pool closure, we will give you a credit. We offer Family Swim passes if you are unable to make your scheduled class for any other reason. 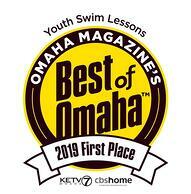 Follow Swimtastic Omaha (NW) for exclusive updates and special offers!